It may not obvious for beginner. 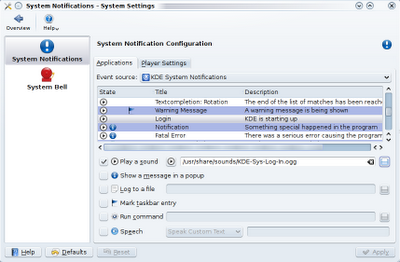 These are the steps on how to change startup sound in KDE 4. 2. Double click on the notifications to open it. 3. 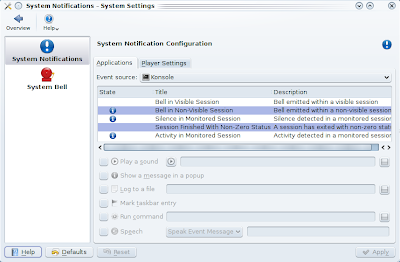 For Event source, select KDE System Notifications as below. 4. 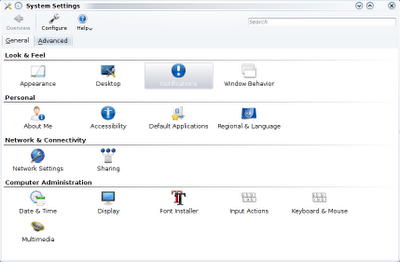 From the list, select Login and click browse button to change the sound file. From here, there are lots of options for you to try. Have fun! Thanks for this. 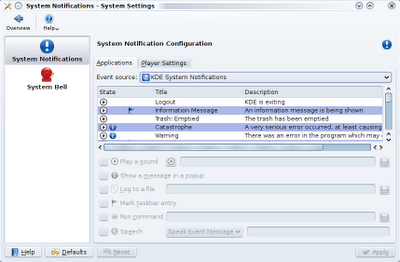 I don't use KDE, but use the occasional KDE program and hate it when they start beeping at me. I couldn't remember the name of the systemsettings binary, and hadn't immediately looked in "Notifications". shall we exchange the links to blog list ? if you are interested.